Drink, dine and unwind in style with a trip to Hi-Life, set within the Ramada Hotel in Raja Park, Jaipur. 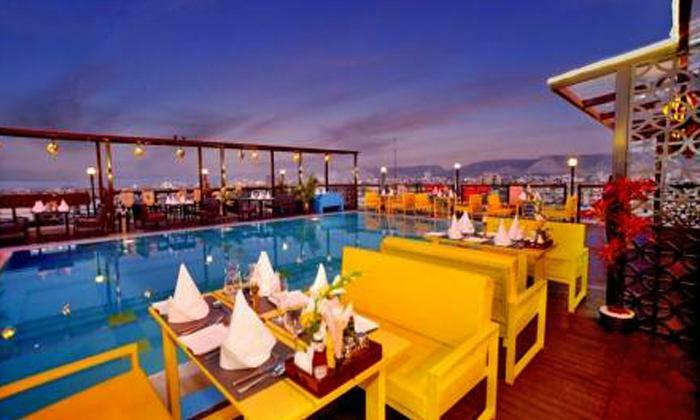 Hi-LiFE – The Rooftop Grill offers global cuisine specializing in fusion food with an array of exquisite Mexican, Italian, Continental & Indian selection. The restaurant is based on a concept of pure delight, great food and exotic drinks which are enjoyable in a pretty relaxing, open air, pool side ambiance with the classic soft & euphonic western music. Various delicacies and their menu have been thoroughly researched to ensure the best possible experience for customers.